…first quantum computing, made inside Canada! D-Wave…! A quantum computer has been purchased from Burnaby, B.C.-based D-Wave Systems by a NASA-led group that aims to solve problems requiring creativity — something that conventional computers aren’t good at. “We are extremely pleased to make this announcement,” said Vern Brownell, CEO of D-Wave in a statement. 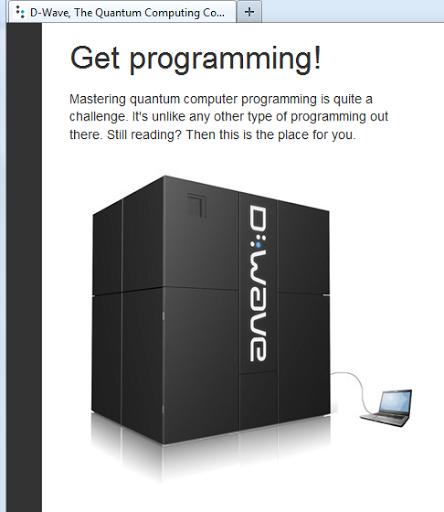 Quantum computing is still an emerging technology, however, and D-Wave’s products are among very few on the market. 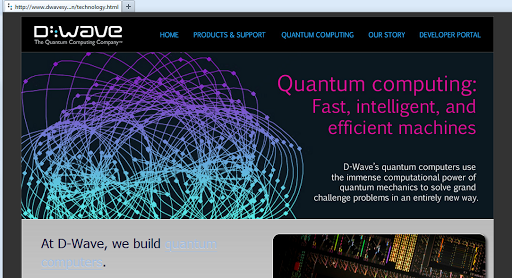 The D-Wave Two has 512 qubits, making it considerably more powerful than its predecessor and the company’s first commercial quantum computer, the 128-bit D-Wave One. “Classical computers aren’t well-suited to these types of creative problems,” Neven said. D-Wave sold its first quantum computer, the D-Wave One, to defence and advanced technology company Lockheed Martin in 2011, allowing it to bill itself as “the world’s first commercial quantum computing company.” Lockheed Martin upgraded to a D-Wave Two earlier this year. The potential of quantum computing technology has captured the attention of BlackBerry co-founders Mike Laziridis and Doug Fregin, who launched a $100-million private fund in March to boost the development of Canada’s fledgling quantum computing industry. …This bigger than a person assembled Quantum Computer D-Wave Two, is proof that Science and Physics has much more to give, and there is more to Life than what we believe or know about…! The human mind is trying to be modeled with these Quantum Computers and Other Mega Size Standard Computers…! The dualist nature of the mind[mater-and un-known] and brain is quite a problem in Philosophy and Cognitive Science! And is in which I have to do more studies and purchase of further Text Books…! These complexities beg big questions as to truths and logics of Life…! NOW FOLKS AS TO BIG BAD PAPA DIOS and a only Son, to judge you after life…! Is far fetched and makes no sense! Why receive more of less “eternal damnation” for…? UTTERLY RIDICULOUS!!! Simply or you are condemned or not for not believing in Jesus and his “nutty” Father, IS MORE THAN BAD ENOUGH, AND “FATUOUSLY” RIDICULOUS…! ← …jews commonly known general character…! greedy avaricious heartless stinking "arabs"…!